6/3/14: Happy to be back home in California after a very productive and fun trip to New York. 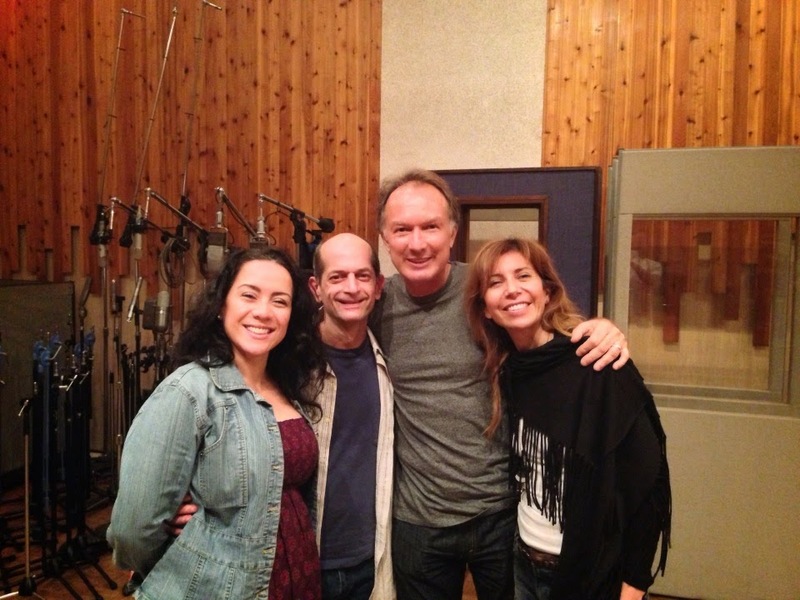 My new CD "Voz" has taken off. With their artistry, humanity and friendship, Magos Herrera , Claudia Acuña and Adam Asarnow , along withLuis Enrique Mejia Godoy, Jaime Gamboa and Osvaldo Sauma gave the project the perfect start. Now it's time to work with Téka Penteriche andVoice Lois Lois Mahalia, two absolutely wonderful singers who will crown the project with their amazing creativity. Also already part of the recordingJonathan Dane, Dan Ziimmerman, Brendan Statom, Ramses Araya, Chris Judge, Tom Etchart, Goerge Friedenthal, Bill Flores, Narciso Sotomayor, Ron Kalina, Kevin Winard, Randy Tico, Romulo Castro, Jim Jimmy Calire,Tom Buckner, and many more dear friends. More to came soon!!!! 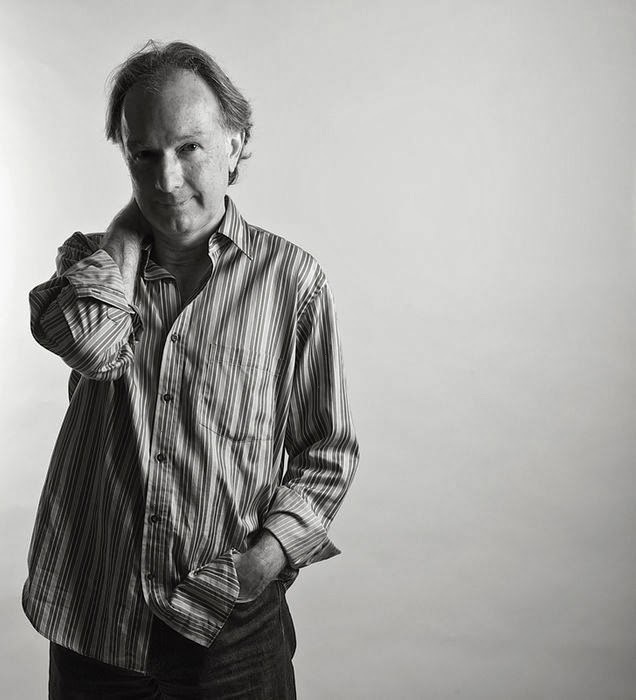 SANTA BARBARA JAZZ SOCIETY PRESENTS: LUIS MUNOZ QUARTET 5/18/14! with Jonathan Dane, Daniel Zimmerman and Brendan Statom. 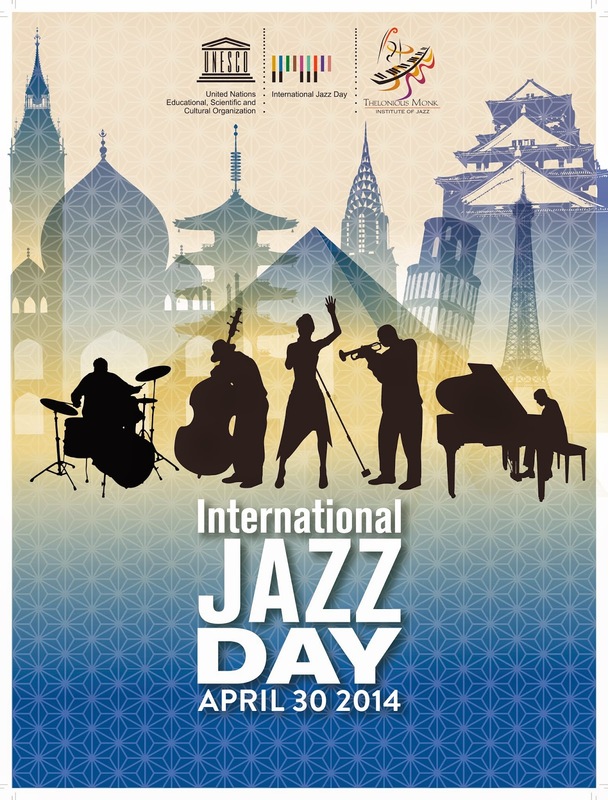 HELP US CELEBRATE INTERNATIONAL JAZZ DAY IN SANTA BARBARA!!!! Our performances tonight and tomorrow night at Blue Agave are officially part of the International Jazz Day Celebration 2014. Come and help us celebrate this important date. Both days we start at 7:30 PM. 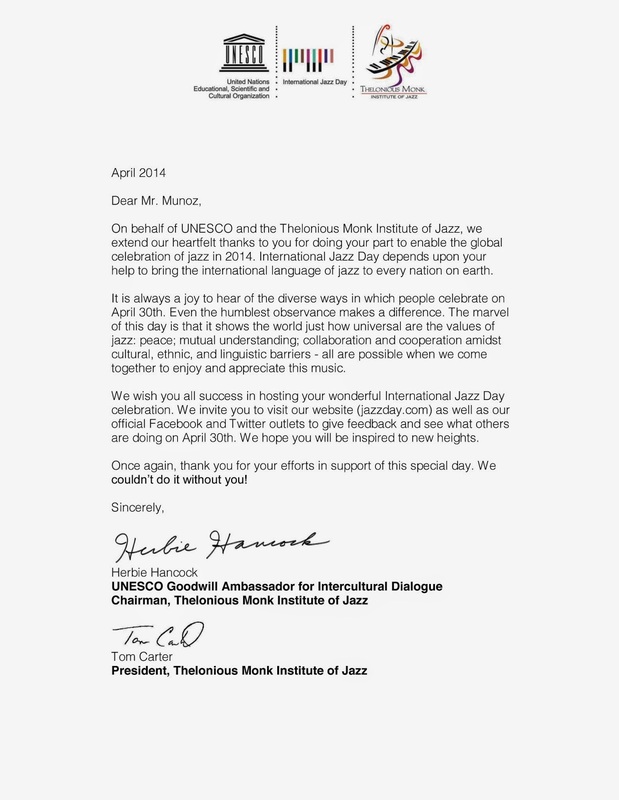 "The marvel of this day is that shows the world how universal are the values of Jazz: Peace, mutual understanding, collaboration and cooperation amidst cultural, ethnic and linguistic barriers" Herbie Hancock! ARTICLE TODAY IN "LA NACION", COSTA RICA'S MAIN NEWSPAPER!!! 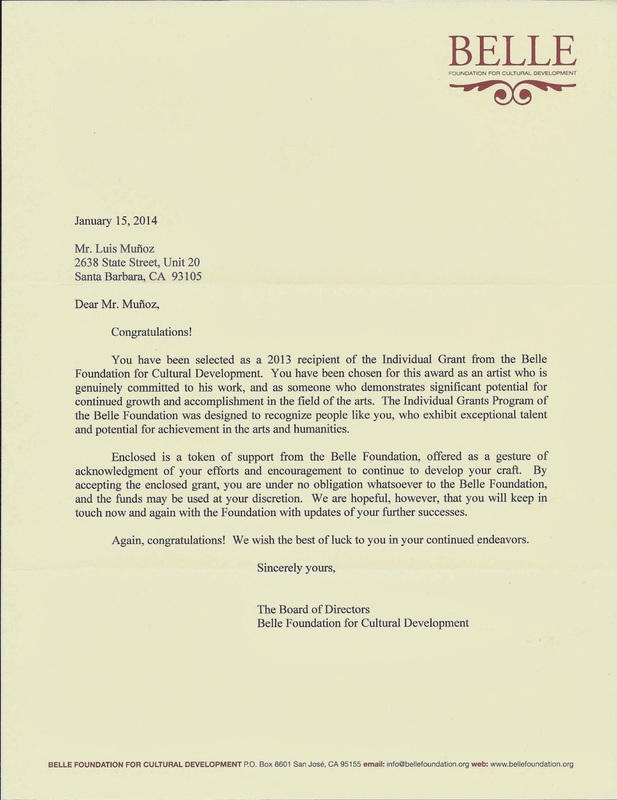 “BELLE FOUNDATION FOR CULTURAL DEVELOPMENT” GRANT!!! 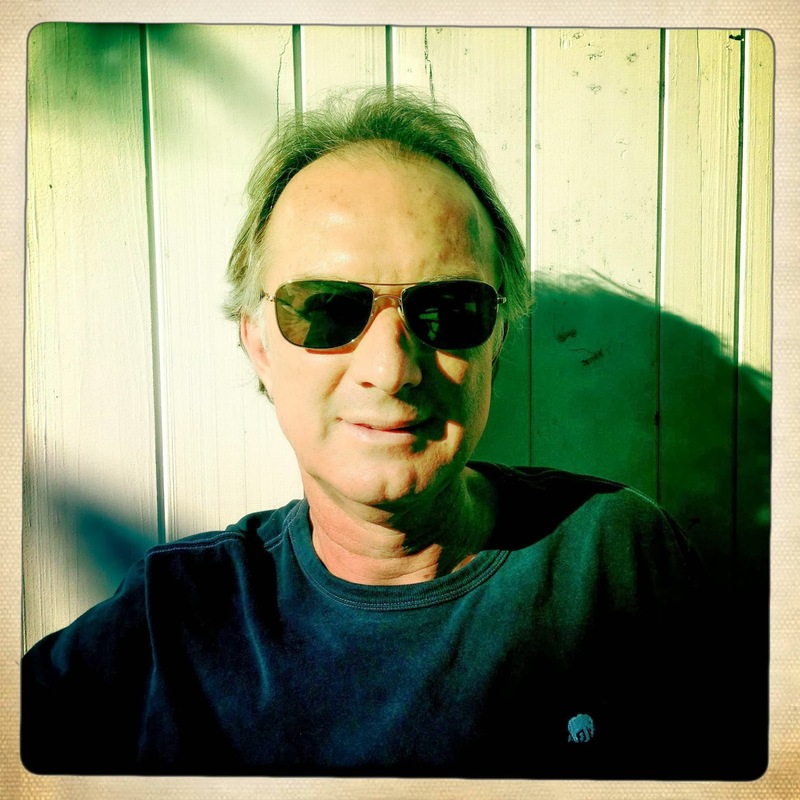 BANDSINTOWN/LUIS MUNOZ TRIO/QUARTET UPCOMING SHOWS!